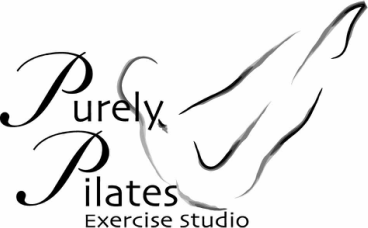 Purely Pilates is offering Classical Pilates Teacher Training with Power Pilates of New York City. The certification process includes 2 levels of mat certification, Core 1 and Core 2, plus the full comprehensive apparatus program. This training is classical, adhering closely to the method as Joseph Pilates invented it; systematic, teaching everyone at the beginner level and progressing through intermediate to advanced work; and integrative, incorporating all of the apparatus. As a recognized classical leader in the industry, Power Pilates trained instructors are sought after at studios and fitness facilities worldwide. By choosing to become Power Pilates educated, our students join a global community of passionate and dedicated professionals stretching from the US to South America, Europe to the Far East. This rigorous training programs is taught by highly qualified Teacher Trainers in the Classical Pilates’ industry. Combined with an emphasis on the “Art of Teaching,” we provide our students with a profound learning experience and the strongest preparation for a career in Pilates. The Core Mat I program is the foundation of the Power Pilates method. Each subsequent program builds upon the information learned during this course. During this weekend you will learn to teach the 18 beginner level mat exercises and be introduced to Power Pilates teaching tools, philosophy, and teaching formula. Every student new to Power Pilates must start with Core Mat I. Core Mat 1 & 2 are required to progress to the Comprehensive program. During the Core Mat 2 weekend, you will learn 12 intermediate level exercises, including where to add them within the sequence of the beginner level mat class, and continue to work on your teaching skills. Our students say that “everything starts to click” during the intermediate mat weekend. Completing the Core Mat II weekend expands the range of clients you can work with and strengthens your teaching ability. The Comprehensive training is the most extensive program and covers beginner, intermediate and advanced level exercises utilizing the Pilates apparatus – Mat, Reformer, Cadillac, Chair, Barrels, Ped-o-Pull and Magic Circle – as well as understanding how to work with special case clients (i.e. obesity, pregnancy, back problems, neck, knee, shoulder, etc.). You will continue to utilize and build the teaching tools learned during the Core Mat I & Core Mat II weekends. You will sharpen your eye for subtle exercise modifications and master the ability to work with people of all ages and fitness levels at the same time. If you have another certification ask about our Bridge Program. Complete a Basics of Anatomy workshop in-person or online. Workshop must have been completed no earlier than two years before the program start date.